Photographer Kristian Skeie: Theatrical satire on the Calais Jungle. Theatrical satire on the Calais Jungle. 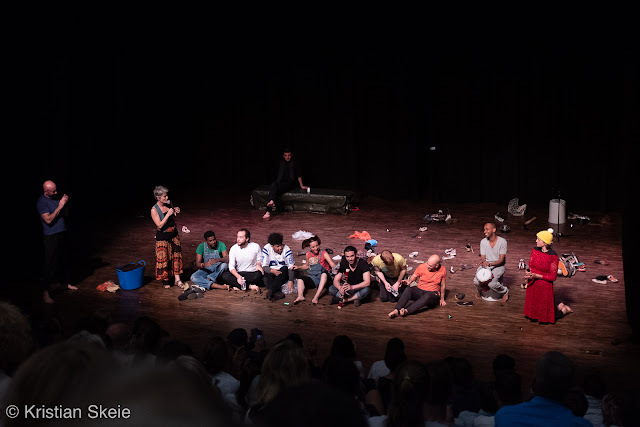 Fantastic evening at the International school in Lausanne, first presenting my own work about “Life After Genocide in Rwanda, Bosnia and Iraq”, then watching the Borderline Theatre company: "A satire of Calais Jungle devised and performed by an ensemble of European and refugee artists. Directed by Sophie NL Besse”. Srebrenica, Bosnia Herzegovina: "Life After Genocide"
Kurdistan- Iraq: "Life After Genocide"
A Portrait of a Company.